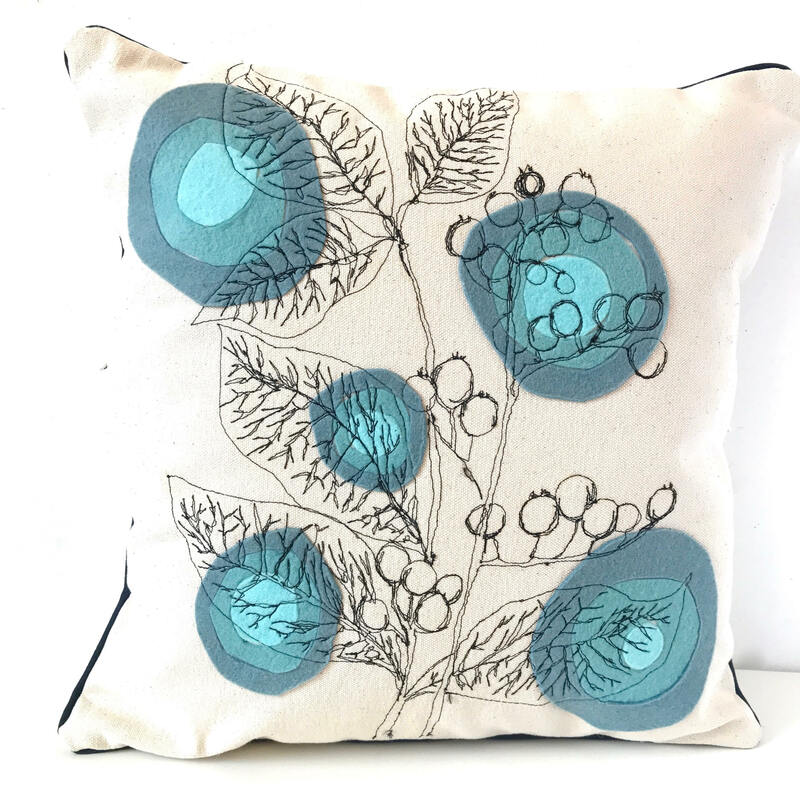 From my new line of "Sorry there is no Bird on this Pillow", mid century, inspired collection of pillows created from my recent drawings. 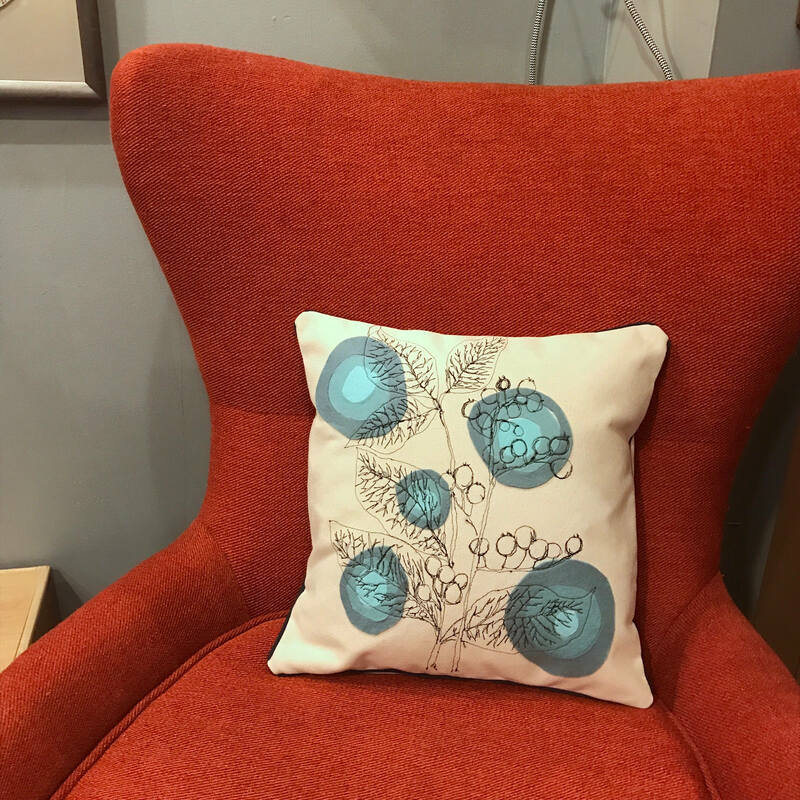 I just had a full knee replacement and plenty of time in my mid-century modern west elm furnished living room.I had plenty of time to do some reflection and realized my bird pillows would not quite go with my own decor. 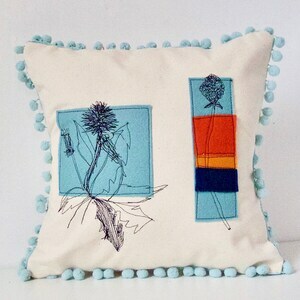 I have a great love for nature and native plants. 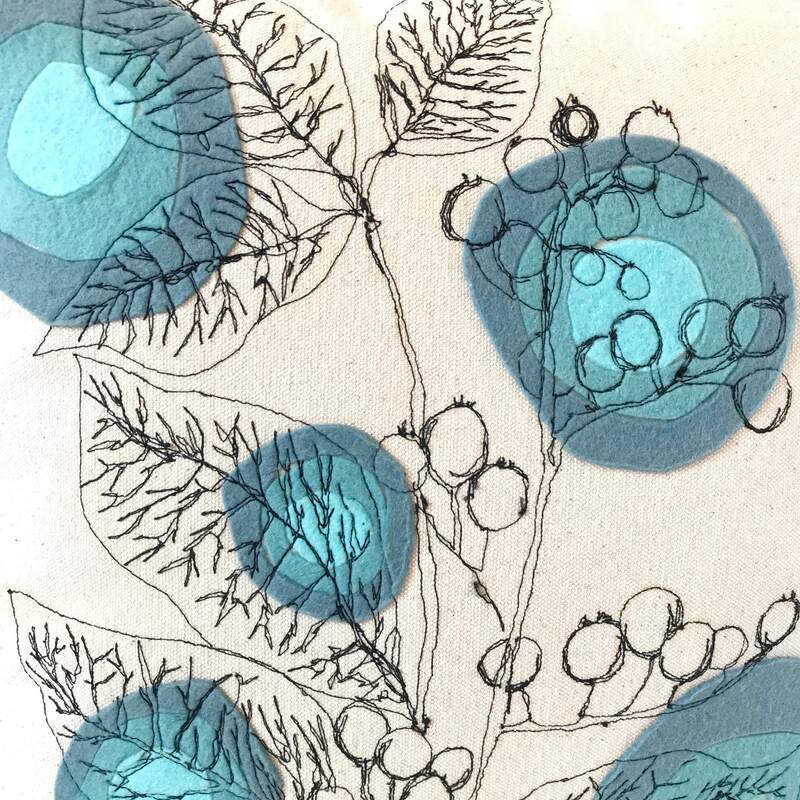 Since my husband is a landscaper, who only uses native plants for his rain gardens, we have plenty of books and resources around our house that I could use for inspiration and models for my daily drawings. 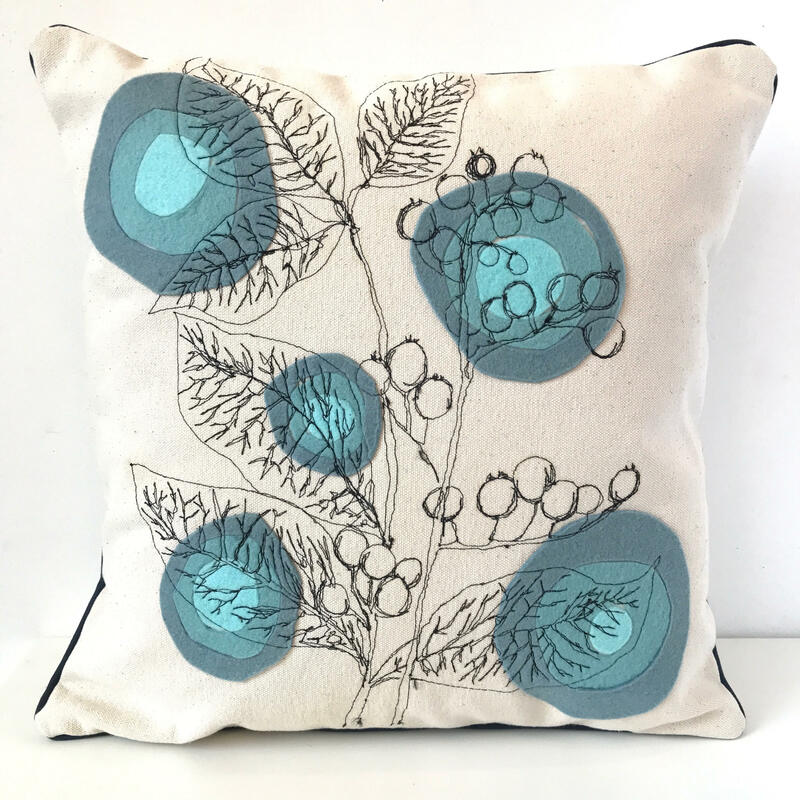 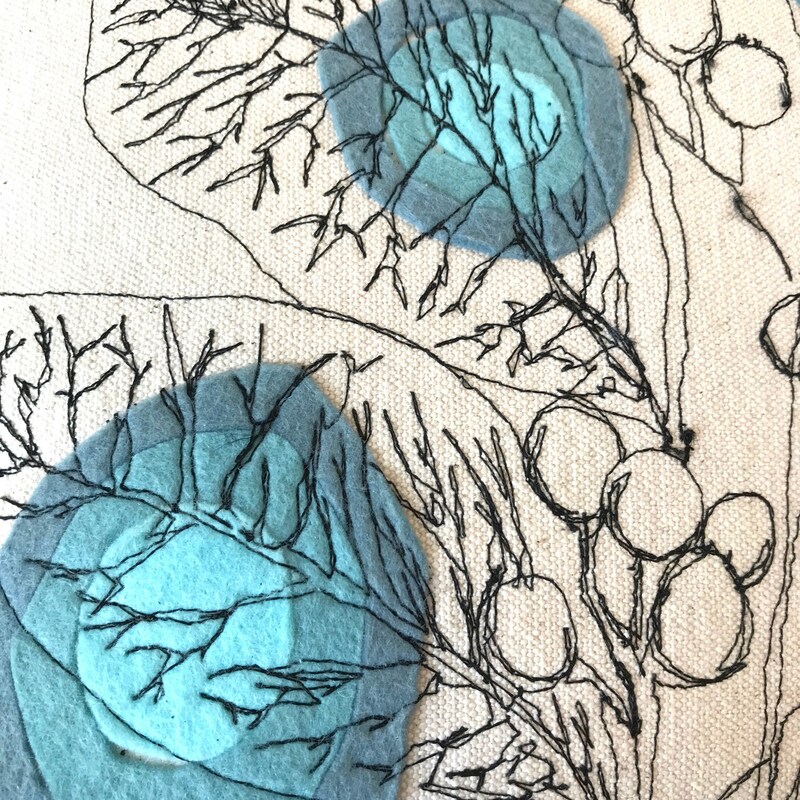 When I recouped from my surgery and was able to return to my studio, I took my sketchbooks full of my designs and began my pillow designs. 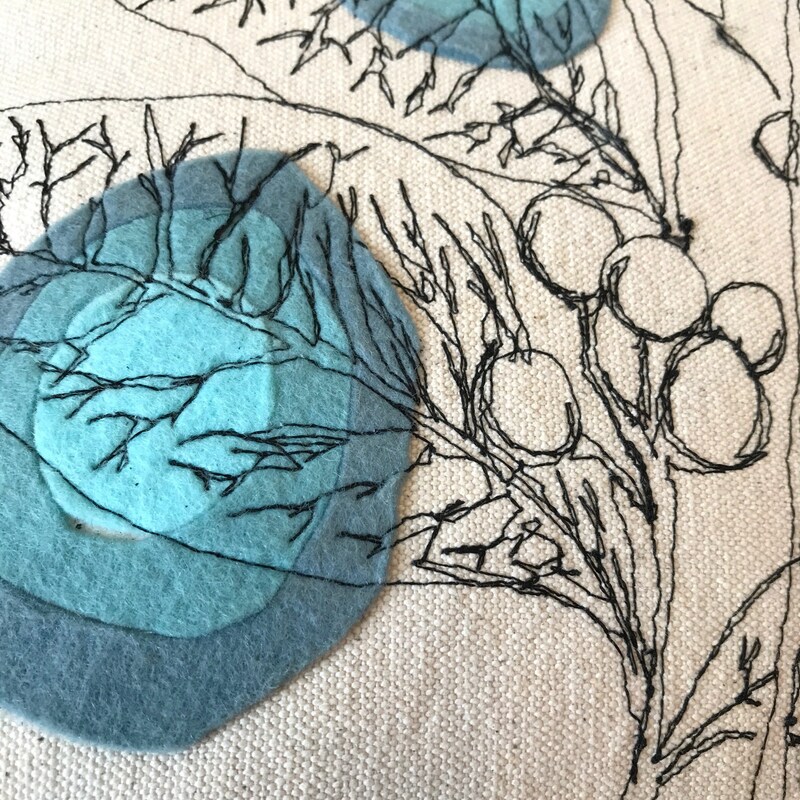 I love the sense of high quality felt that I have in many colors to use as the background shapes and then the drawing is all freehand machine stitching. 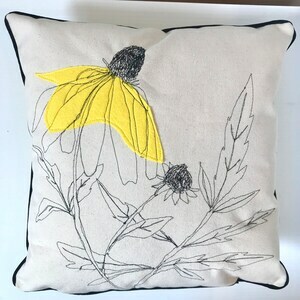 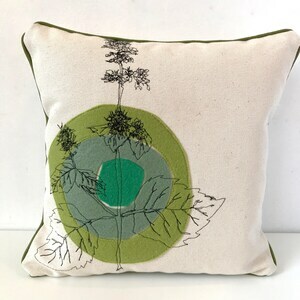 Since this is a custom pillow you can select color of base, the one show here is simply canvas, and you can select the color for each plant felt components. 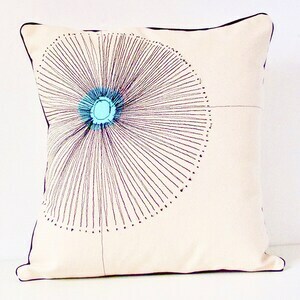 And then you can add your choice of framing: piping, ball fringe or even fringe! 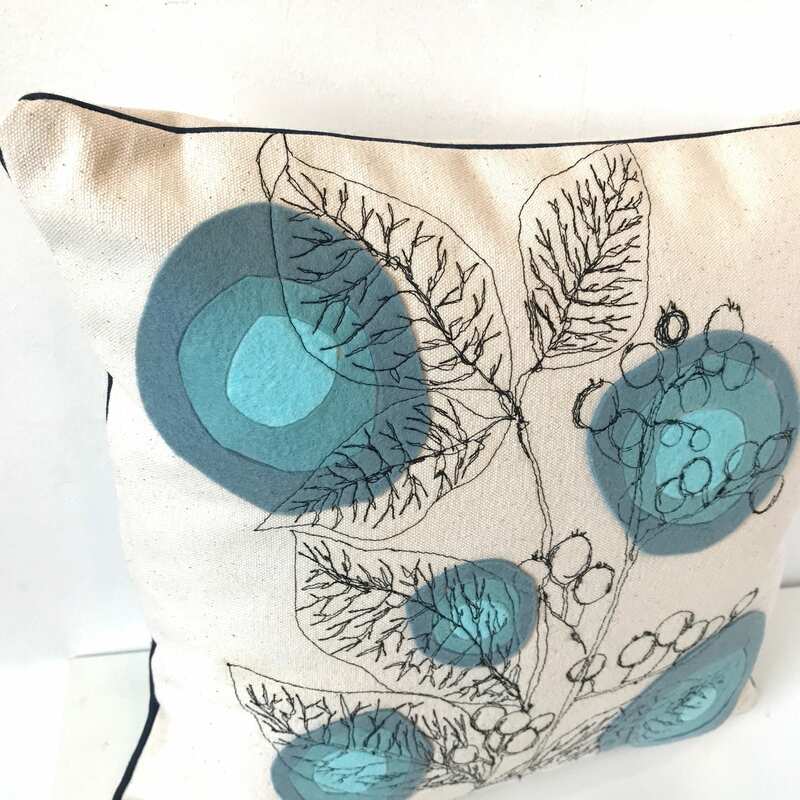 This price is for a 16" pillow but other sizes can be made, simply convo me for the price. 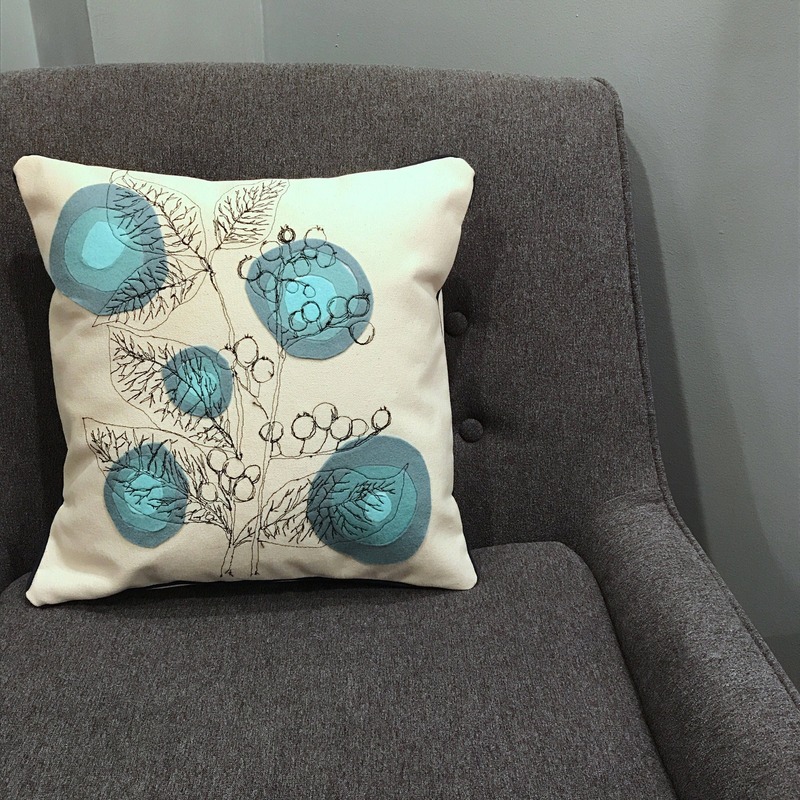 Allow up to three week for delivery.